SOUTH Down MLA Seán Rogers has learned that in the two years leading up to the crisis that has closed weekend A&E Services at the Downe hospital and reduced the weekly opening times, that only one advertisement for middle grade Accident and Emergency doctors was placed in the National Press and Medical Journals. 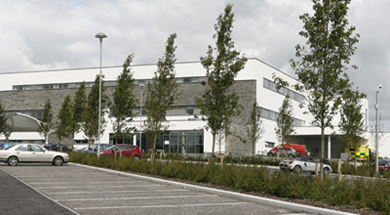 South Down MLA Sean Rogers has questioned the reasons undepinning the Downe A&E hours cut. He said: “I recently secured an adjournment debate to discuss the situation at Downe A&E. It was during this debate the Minister for Health assured the house that every effort was being made to address the issue of recruiting the shortfall of middle grade doctors needed to keep A&E open.